If attendance at two consumer sports shows — Pennsylvania and Utah — are indicators, then 2019 is shaping up to be a good year for hunting sales. Maybe it’s the harsh winter that has encircled much of the upper United States during early 2019, but whatever the reason, record crowds of outdoorsmen and women recently escaped the cold to attend two major consumer shows, one in the East and one in the West. The National Rifle Association hosted its sixth annual Great American Outdoor Show at the Pennsylvania Farm Show Complex and Expo Center in Harrisburg, Pennsylvania, February 2-10, 2019. The Show welcomed a record 179,000 outdoors enthusiasts from across the nation to enjoy the world’s largest consumer outdoor sports. The 650,000 sq. ft. exhibit hall featured everything from firearms and accessories, archery equipment, and fishing tackle to hunting apparel, boats and recreational vehicles. Approximately 400 hunting outfitters and fishing charter captains were on site, booking adventures across the U.S. and around the world. Attendees experienced world-class education and training in 200 seminars from outdoor celebrities and experts, watched 50 angling demonstrations at the popular Hawg Tank, and earned culinary chops at 30 cooking demonstrations featuring wild game and fish recipes. The 2019 Great American Outdoor Show is the biggest consumer outdoor show in the world. Approximately 1,100 exhibitors filled 650,000 square feet of hall space in the PA Farm Show Complex. The Great American Outdoor Show united fans with their favorite celebrities, with huge crowds lining up for autographs and chances to meet stars such as Phil Robertson of Duck Commander and Duck Dynasty, and hunting couple Lee and Tiffany Lakosky. The NRA’s new Hunter Education program showcased its award-winning, comprehensive and 100 percent free online course, while the Eddie Eagle Kids Zone continued its tradition of engaging children with fun and educational activities, handing out 5,000 Eddie Eagle prizes to kids while providing life-saving gun safety and accident prevention instruction. 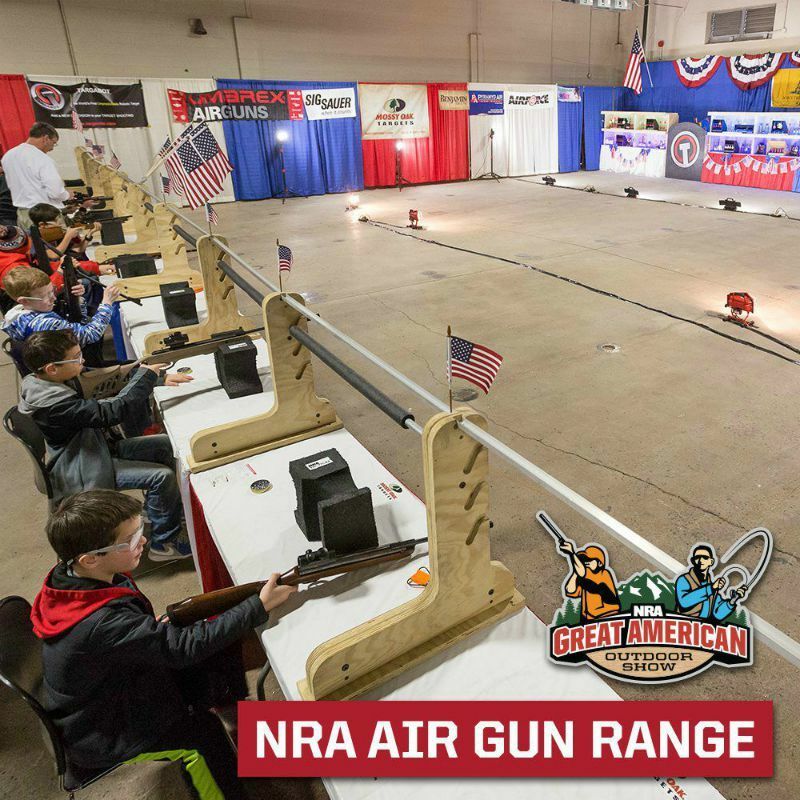 Nearly 7,000 shooters of all ages took their best shots at the NRA Air Gun range, firing 85,000 airsoft rounds into 500 targets, while the NRA Range Experience welcomed its most participants ever firing 250,000 airsoft rounds. The Kids Casting Contest welcomed approximately 830 kids, with Pennsylvania Bass Federation volunteers teaching them how to cast, pitch and flip a fishing rod before competing in a friendly contest and walking away with a free rod and reel! Even man’s best friend joined in the fun, with 102 dogs making a splash in the DockDogs competition that drew thousands to watch the five daily performances. On the expertly landscaped Archery Range, 650 shooters competed for trophies and cash prizes in the 3-D Bowhunter Challenge and Spot Shoot. The 15-meter NRA Air Gun Range offers numerous exciting, reactive targets such as spinning metal plates, animal silhouettes and even lollipops. The Friends of NRA Banquet on Feb. 7 and The NRA Foundation’s Wall of Guns raffle raised about $90,000 to support firearms safety training and education programs in Pennsylvania and beyond. The NRA Country Concert roared back to the Show, bringing Lee Brice and special guests Easton Corbin and Tyler Farr to the New Holland Arena on Feb. 9 for a sold-out night of music and celebration. Next year’s Great American Outdoor Show is scheduled for Feb. 1-9, 2020, at the PA Farm Show Complex. 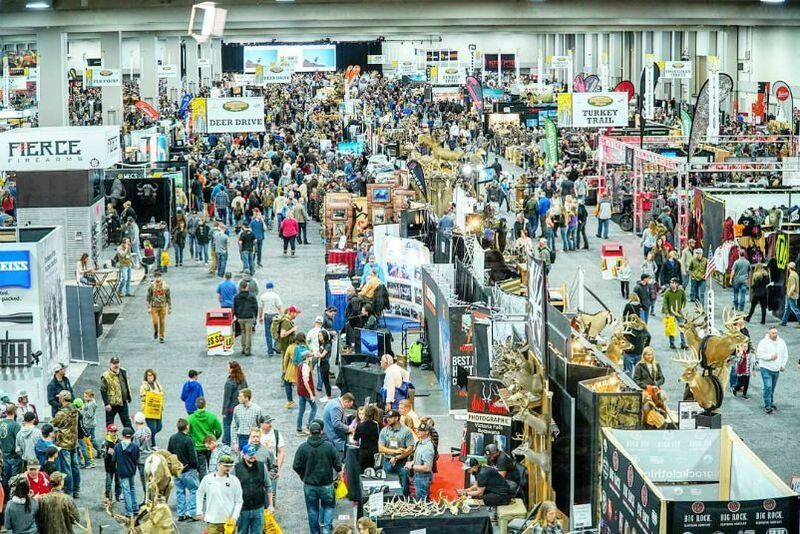 After 4 busy days, the 2019 Western Hunting & Conservation Expo (or Hunt Expo) closed on Sunday, February 17, after 54,685 people passed through the Salt Palace Convention Center in Salt Lake City, Utah. Attendance during 2019 was up nearly 9 percent from 2018. A premier show for the western hunter, Hunt Expo, which is hosted by the Mule Deer Foundation and Sportsmen for Fish and Wildlife, is in its 13th year. The year’s show had approximately 500 exhibiting companies on the expanded 530,000 square feet of exhibit space, as well as evening events that featured keynote speakers Navy SEAL Robert O’Neill and former Utah Congressman Jason Chaffetz. The Western Hunting & Conservation Expo also is a critical fundraiser for conservation efforts around the West and about $8 million was raised at Hunt Expo through show passes, auctions, tag sales, and other fundraisers. This year the show also hosted the Western Hunting & Conservation Expo Elk Calling Contest and the Great Salt Lake Waterfowl Calling Contest on Saturday, February 16. In addition, the Youth Wildlife Conservation Experience kept the kids busy at the indoor pellet gun range, and the Roaring 20s themed Ladies Luncheon also raised important funds for conservation efforts. To top it all off, the evening dinner auctions were all sold out with more than 1,700 in attendance, and famed tags including the Antelope Island mule deer tag selling for $305,000 and the Arizona Governor’s mule deer tag selling for $330,000. Important note: 100 percent of this money goes back to Arizona’s mule deer conservation efforts. After the evening events, the crowd was entertained by country music stars David Lee Murphy, the Eli Young Band, and LOCASH. 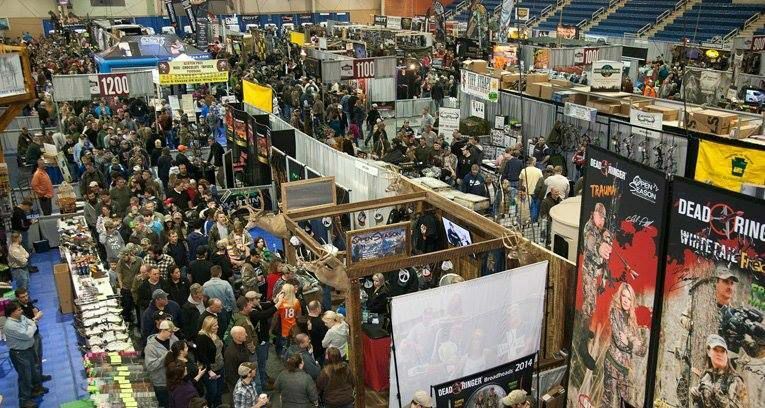 The 2019 Western Hunting & Conservation Expo experienced its busiest single day in history on Saturday, February 16, when 30,000-plus people attended the show. The 2020 Western Hunting & Conservation Expo will be held February 13-16 in the Salt Palace Convention Center in Salt Lake City, Utah.